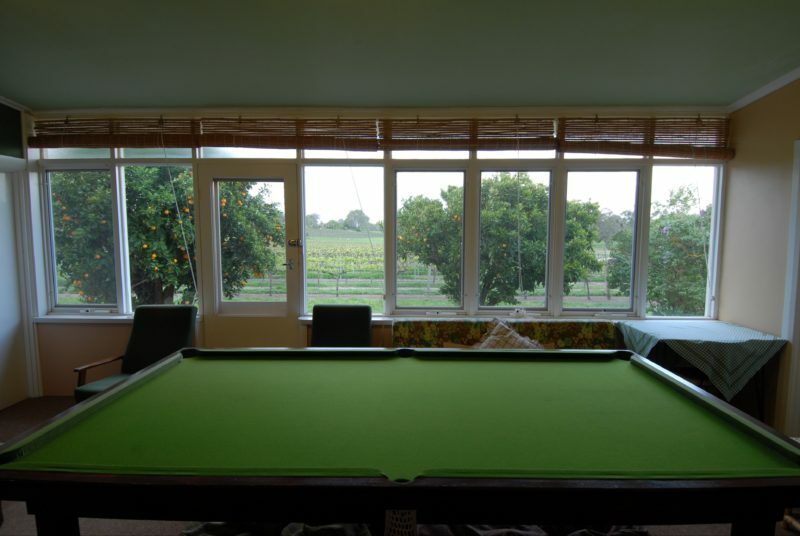 Wake up at a Barossa vineyard! 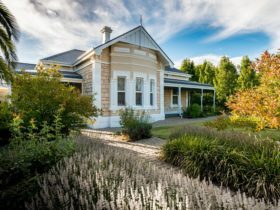 As third generation vignerons, we extend a warm welcome to our family vineyard property, Wroxton Grange, named in 1845 and set on 500 glorious acres in the beautiful Barossa Ranges, close to all Barossa attractions and Kaiser Stuhl Conservation Park. 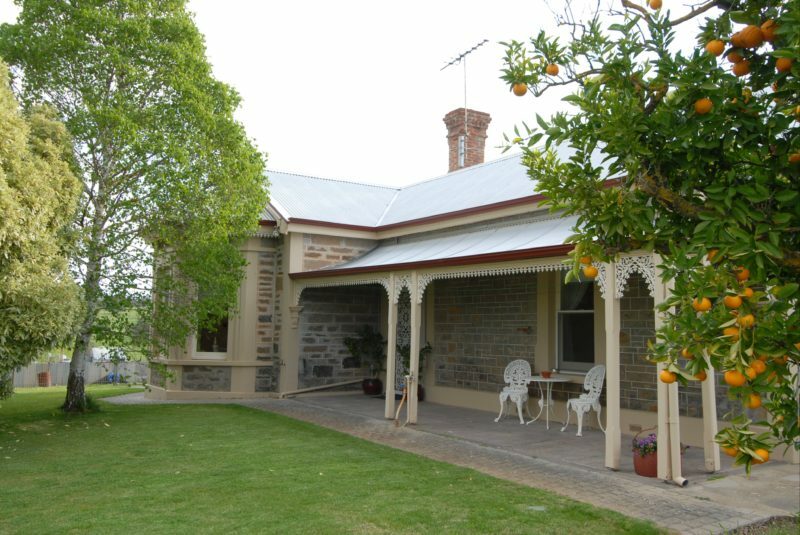 Guests are accommodated in a self contained queen suite at the front of our spacious circa 1870 Victorian bluestone homestead. 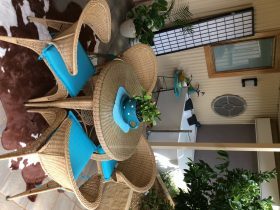 The suite has its own private entrance and verandah. 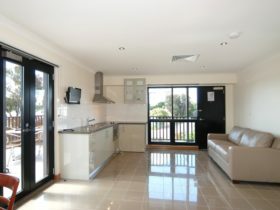 There are queen and twin (two single beds) bedrooms with electric blankets & bathrobes, private bathrooms, a fully equipped kitchen, lounge with TV, DVD, CD, piano, open fire, country colonial furnishings, guest sunroom with pool table, TV, ducted reverse cycle air conditioning, everything supplied and special extras. 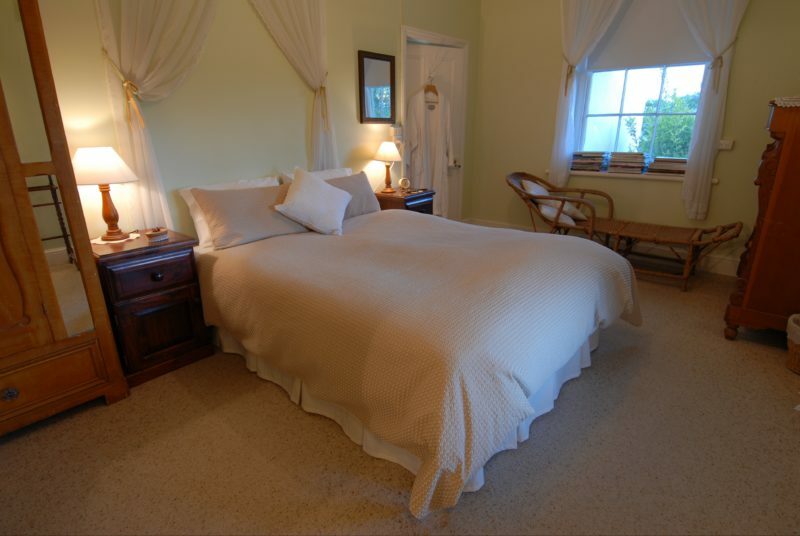 Provisions for cooked breakfasts are included – farm fresh eggs, local bread and homemade jams. 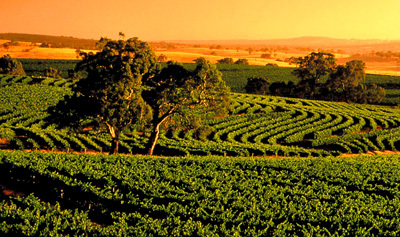 We also offer personalised tours to meet other small winemakers of the Eden Valley wine region. 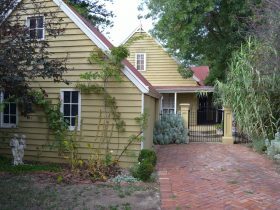 An authentic Barossa experience awaits you, to enjoy wonderful walks and birdlife amid vineyards and drystone walls, on a peaceful country estate surrounded by immense rural beauty & located about one hour’s drive from Adelaide. Late check out by 11am. Minimum 24 hours’ notice required for bookings. 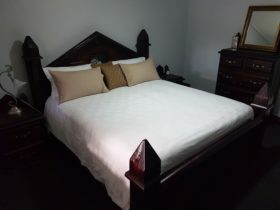 Queen suite: AUD175.00 per night. 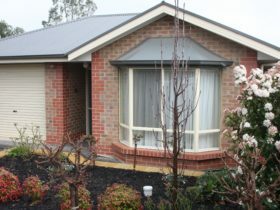 Twin room AUD60.00 per night/per adult or AUD40.00 per child, Saturdays AUD10.00 extra per person.